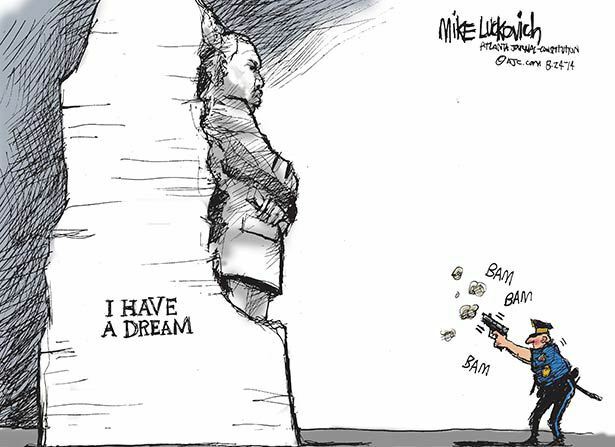 Today, America celebrates Martin Luther King day. The life of a great man, who led one of the struggles for racial equality in the last century. In Britain we don’t have someone to compare, so like many I too pause for thought about him on this day. 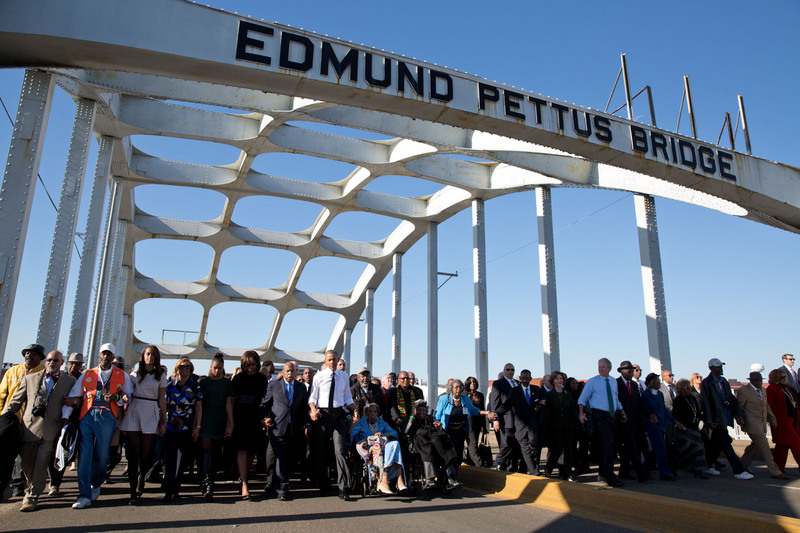 What’s changed since Dr King’s greatest speech, and march for freedom? In many aspects especially around the contentious issue of policing the black community, things have gotten worse. As a black man and former police officer of some eleven years working within Britain’s two biggest police forces, I know more than most the problems that exist inside the police to do with race as well as outside. And also, because for some time myself I have fought police racism. I’ve come to learn that, justice wasn’t and isn’t designed for people of colour. It was never Lady Justice’s intention. I stopped believing in it some time ago, after my own experiences. And I know, this is a reality for many black and Asian people. Quite a few years ago after experiencing racism within the police, I naïvely thought that by finally saying ‘enough is enough’ and reporting this hate that it would bring about a suitable redress. I could not have been more wrong, if I had consciously thought the process through. After I told London’s Metropolitan Police about the racism that existed within its ranks supporting what black members of the public had experienced, the shutters came down and it was all out war. There wasn’t even any discussion about the matter, it was simply about neutralisation and containment. I went from being an officer of good standing with an impeccable service record vetted to secret and top-secret information as a detective within the counter terrorism, to sensitive, paranoid, unreliable and so forth. The smear list became endless, once I became a threat. I was investigated for fraud, but there was no money deals. The wanted to criminalize me as a black man for blogging, with the possibility of prison for sharing my experiences publicly because I refused to remain silent. Like so many black men, another potential statistic of the ‘justice’ system. So when that didn’t work, the police now said I was a threat to national security and that I was so pissed with them that Al Qaeda may try to recruit me. I kid you not. Giving that I was a counter terrorism detective with a background in criminal investigations, I am unaware of any branch of this organisation that recruits gay Catholics? Somehow, I’d gone from serving my country since the age of ten having started out in the cadet forces to service as a police officer for over a decade within special branch intelligence to extremism. But this wasn’t really about me, but protecting the reputation of the police. I’m not the first when it comes to discrediting black officers and I won’t be the last. You only have to note the recent case of the black female officer Carol Howard also of the same Force, and the trials she has faced. The police’s number one tactic upon being faced by a threat (internal or external), is to smear and discredit. In my case particularly, I was never meant to find out what they were doing this until after the matter i.e. an arrest. But unfortunately for them, I had been trained well as a detective. I fought the London Police Commissioner in one trial to do with racism and he then fought me back in an appeal, after I had established racism within the police. He then fired me, for insubordination. Several years on, I’m still fighting the Metropolitan Police but in a new way. I’ve had to learn the hard way like so many black people that you’ll never get justice in the courts, the odds are stacked against you before you even start. In my case for example, a member of the police panel that dismissed me works at the employment court that was due to hear my case. A doctor who examined me for the mental abuse, didn’t disclose that he had worked internally for the police commissioner as an occupational health specialist. And not forgetting that official public documents were tampered with, changing them in favour of the police. These are just a few of the many tactics I have faced, and I was one of them!? As I draw this chapter in my life to a close, all I can do now is put the facts out there for the Public Court of Opinion to decide if the police when it comes to race is fit for purpose. And one way I have done this, is through the memoir I have written of my experiences. It’s not sensationalism, but a factual account of the police’s stance when it comes to race and racism. In the UK, the deaths of black men in police custody is of significant concern. But so is the lives of those people of colour serving, and which I wrote about during Black History Month. You will have had to been living under a rock too if you hadn’t heard of one of the many deaths in police custody of late of black men in America, Eric Garner in New York being one. Last night, I watched the tragic film about the life of Oscar Grant who was shot in the back whilst lying down and handcuffed by a BART Police Officer in San Francisco. Since President Obama’s election, deaths in custody have spun out of control. But, why? It’s taken a long journey for me to realise where I have gone wrong, with the police and racism. I have asked others who have never wore my shoes, to try to understand what it is like to a black man in the modern world and more so when it involves the police. It’s like asking me to understand what it feels like to be white and straight, but that’s a privilege too far out there. As black people, we have to create our own opportunities because they are never going to be handed to us. And, the sooner one gets to grip with this the better. Forget the positive action initiatives, as many are there as a smokescreen to appease those who call for racial diversity. 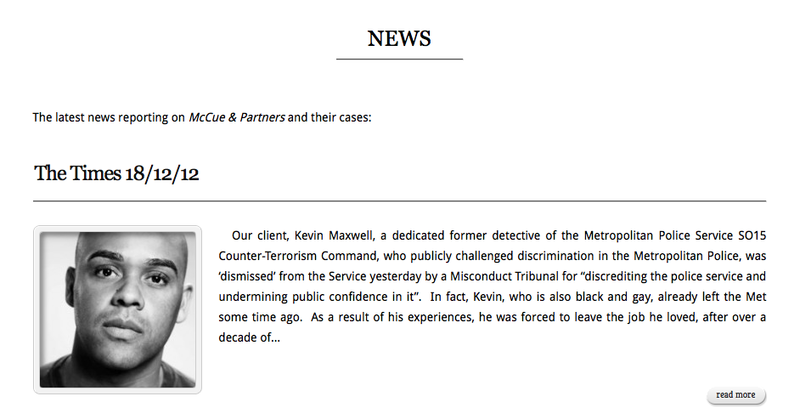 I read recently about a black officer at Scotland Yard being promoted to a very high level, but what the Met Police didn’t say is that this officer same has received internal hate mail. This isn’t progress, even though the Mayor of London recently described the Metropolitan Police as the “best police service anywhere in the world”. I’ve learned that man’s greatest ailment is fear, but I’m fortunate I don’t suffer with this. Life challenges us all in different ways, and sets us goals sometimes beyond what we think we can do. I always thought my place was inside the police, you know, doing my bit for diversity. But, this was never life’s plan for me. I have never been and will never be a sheep, staying silent for my own career’s gain. I guess, it’s been my Achilles’ heel. I might not have much materially, but I have a voice which is priceless and which I intend to be heard without fear or favour. This, is where my future lies. ← #FoxNewsFacts … NO truth needed!